The use of the social media and internet technology has made a significant impact on the lives of children in this modern age. While the use of the internet can offer youngsters a broader source of knowledge and information, it can also be used to bully children and make them suffer some traumatic experiences from a cyber bully attack. Parents are becoming greatly concerned with the rising statistics of cyber bullying with children more susceptible as victims. Learning the various measures to protect your children against cyber bullying will help you exercise a better parenting method that will prevent any vicious cyber bullying attacks on your kids. Children are often unlikely to open up to their parents about their online activities unless their parents are making some inquiry about it. Sometimes, there are children who don’t feel open to share their online social activities to their parents. A great solution to this is for parents to monitor their child’s social media accounts. They can create their own social media accounts to be able to view whatever their child is sharing online and the responses that they get from other social media users. A more simplified way to monitor your child’s online activity and a more comprehensive at that is to install a mobile tracker (check netspysoftware). Children are getting more engaged in using mobile devices to access their social media accounts and what greater way to find out and monitor all his activities than to receive a detailed report about it through the help of spy software on mobile. The best thing about using the program is you can view even the private messages that your child receives from their emails, SMS and social media sites. You can easily find out whether your child is being a victim of cyber bullying, allowing you to take action immediately to protect them against its negative effects to your child. Children can be too secretive about what they are going through but oftentimes they cannot keep their distressed feelings hidden. Parents should be observant for any signs of anxiety or depression from their children and be willing to listen to whatever sign or hint that their child is trying to communicate to them indirectly. Instead of trying to press more information from your child, offer some opening to allow them to feel more comfortable to discuss any problems that they are encountering such as being a subject of cyber bullying. Help your child to understand that cyber bullying is wrong and can be dangerous. Letting them understand the negative consequences of this act will make them more educated in knowing how to deal with it and how to avoid becoming a victim. Provide them some options about what to do in case they are being a subject of bullying to help them learn how to protect themselves and how to cope with the distressing consequences of cyber bullying. Nice post, Cyber bullying must be controlled the children career or life will be spoiled. 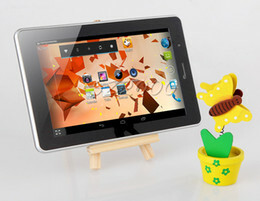 The first thing is we can install few monitoring softwares to track the activities of children. The tips are really helpful.